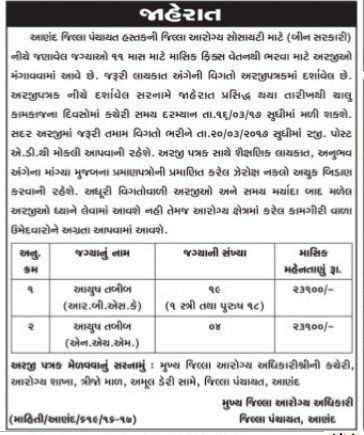 The applicants who are willing to apply for Anand District Recruitment 2017 they should fill and submit the offline application form in the précised manner on or before 20th March 2017. Entire information such as eligibility criteria, selection process, salary package, apply process, last date, etc. are mentioned on this page.